Battery is one of the most important components of any e-bike and also the most expensive. It depends on the battery how much the bike can be used without recharging, how long it will work, how much it weighs... In general, when you choose an electric bike, the battery is the component that you must pay attention to. What types of batteries for an e-bike existe and how do they differ? Selecting a good battery directly determines the distance you can travel on a single charge and the efficiency of the battery. With the same size and weight, different batteries can work quite differently depending on the type and structure. 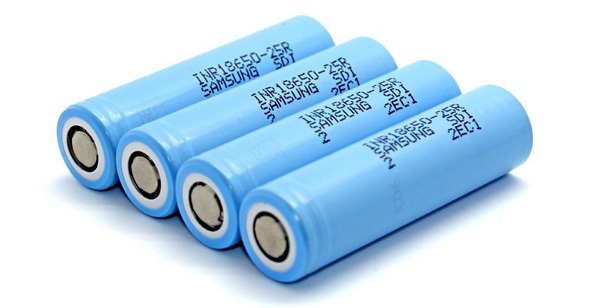 All batteries have characteristics such as capacity, voltage, size, weight, time of charge, and total battery life. Voltage: most e-bike kits are rated for a specific voltage range. A typical 36V e-bike needs a battery that delivers power between 42V to 30V. A 36V pack, at 42V is fully 100% charged and holding as much energy as it can and at 30V it should shut down and stop giving power before causing permanent damage. More on BMS (Battery Monitoring System) in a bit. The common " 36V" number is an average operating voltage or sometimes called nominal voltage. Voltage - measured in volts (V) which used to describe how fast electrons move, more voltage = more speed ! Capacity is the amount of energy that can be stored in the battery. It is the main characteristic of any battery. The unit of measurement is the ampere-hour (Ah) . This value is a measure of how many fixed number of Amps a battery can sustain for 1 hour ( C rate ). Or, double the amps for half the time. Or half the amps for two hours. etc. The battery has a certain number of discharge-charge cycles, after which the capacity starts to fall proportionally. If the battery is discharged by, say, 10% and recharged, it is considered that one cycle has been spent. Actual battery life is determined by the number of cycles and depends on the operating conditions of the battery. The longer the battery is discharged, the less possible cycles it can be expected from it. The oldest variant, which is used less and less every year. There are a lot of reasons for this, the main one is a low capacity. Gel batteries weigh a lot, and the battery makes the construction of the bike very heavy. In addition, it is slowly charging: it takes 8-10 hours to fully charge. They have a short life also , only 150-200 cycles. The most popular and optimal type of battery for an e-bike today. Lithium battery has the best combination of total weight and capacity. Specific capacity of lithium-ion batteries is the highest among all existing types and it is their main advantage. Lithium-ion batteries do not have the so-called memory effect. The disadvantages of this type include sensitivity to the temperature conditions and the inability to quickly charging. The lithium-ion battery is also sensitive to overheating and requires control of the discharge mode. Ageing and loss of capacity over time. The number of cycles is about 400, which is two and a half times more than the lead-acid battery. Lithium ion batteries for electric bicycles must be specifically designed due to the presence of a battery management system (BMS) within the pack. This piece of circuitry must be set appropriately to control the amount of current draw required by the motor and to limit excessive discharge capacity.The BMS is also important for balancing cell charge between the individual cells within the battery to maintain battery life over time. This type of batteries is popular mainly among cell phone manufacturers ,because it's not capable of operating an e-bike and does not withstand impact and vibration during the ride. They are designed for use in electric cars where such vibrations are not possible. Very often used in aircraft models where weight is important. The most dangerous in terms of ignition! In case of unfavorable circumstances (short-circuit, failure of BMS, accident) there is a high risk of ignition. Relatively new but already popular type of battery. The advantages of this batteries include frost resistance (works in frost up to -30 degrees without loss of capacity) and is able to charge quickly. This type of battery has the largest number of full cycles, which is about 1000. Less susceptible to aging than the usual li-ion. Also devoid of memory effect. The disadvantages of LiFePo4 batteries include low specific capacity and high cost. - How not to destroy the battery? First, pay attention to the battery's on/off system. Famous manufacturers use the so-called "sleep mode" in their batteries. You activate the battery mainly by pressing a button or turning on the e-bike on the control display . Once you turn off e-bike, the battery will «sleep» on its own after a few hours - so the power from the BMS system will turn off also. If you are driving on, you need to press the button again to activate the battery. - How to store the battery in winter? Storing the battery during the winter is very easy. Basically, it is enough to charge the battery by 50% and store it in a chilly place. It is better to store the battery outside of e-bike to prevent unwanted activation. - Batteries heat up during charging, something wrong? No, it's okay, all types of batteries heat up during charging. And the chargers too. - What is the memory effect? The memory effect happens when the battery is recharged without being completely discharged before. The battery remembers its last remaining capacity before its next charge. Therefore, when you charge the batteries before they are fully discharged, the battery usage time will decrease. Batteries used by most of our products (Li-Ion, Li-Pol) have no or very small memory effect. - What does self-discharge mean? If the battery is not used after it has been fully charged, it will gradually lose energy. The self-discharge value for Li-ion and Li-Po batteries is very low and fluctuates by a maximum of about 5% per month at room temperature. It is good to check the battery once a month, and if its capacity has fallen below 50%, charge it by about 70%.The suggestion that deep discharge prolongs battery life is a total nonsense! Greatebike.eu recommends a few tips for extending the life of your e-bike battery. Tip 1 – Try not to discharge the battery below 20%. Deep discharge makes the battery too difficult to use, and reduces the capacity in the future. The lithium battery starts to oxidize, which has a negative effect on capacity as well as battery life. In the case of a switch-off (e.g. in winter), it is recommended that the battery be fully charged at least once every 90 days. Tip 2 – Do not charge the battery immediately after driving. The battery should cool down before charging. If we start charging a heated battery, it will not be able to cool down at all, and its degradation will be much faster. Tip 3 – Do not fully charge the battery if this is not necessary. When charging the battery above 80% of its capacity (voltage around 40V), the internal resistance of the battery increases, the battery heats up more and this significantly accelerates the degradation process. Tip 4 – Avoid extreme temperatures. High temperatures or frost affect performance and shorten battery life. Never store the battery outside where it will be exposed to temperatures below 0ºC. Similarly, we recommend not storing the battery at temperatures above 30ºC. Avoid long parking under direct sunlight also.